Ridoy leaves the house. Beauty calls his man and says he shouldn’t come back home alive. Ridoy is in taxi. He comes to Asmita’s place. He comes in. Asmita is fainted on the bed. He says no.. Nothing can happen to you. When he sees the face it is someone else. Ridoy gets that girl up. The girl says I was with asmita. Some thugs came. They hit me and I fainted. I think they took Asmita. Aditya tells Asmita he sent that girl to Asmita’s house so she can tell all that to ridoy. Shan comes to a temple and take a cue. He starts hitting himself. He says I deserve all the pain I gave you. Puchki says I feel like Shan is in trouble. But why should I care? I will stay true to my mission. Baba says I am always with you. Asmita says why doesn’t he come back to me. She is in tears. Baba hugs her. Ridoy tries calling asmita. He sits down crying. He says where do I find you. Beauty hits her men. She says you couldn’t kidnap a girl. Mohit says true love has all the power. Beauty says these are filmy things. I will kill Puchki once I find her. Ridoy finds a complaint of missing for asmita. Inspector says calm down. Aditya calls the office and says ask him to leave. The office says you will misbehave with police? They arrest Ridoy. Shan comes to Bua. Bua says I don’t want to see your face. He says I.. She says there shouldn’t be any explanation. Where was your shame? She has favored you so much. You would have been in jail. Neel says I know nevi asked you to do all this. Bua says she is a true step mom. She is doing all this to ruin your life. Do what you want to do.. But I don’t want to see your face until Asmita comes back to this house. She leaves. Precap-Shan hugs neel crying. She says I want her back in my life. 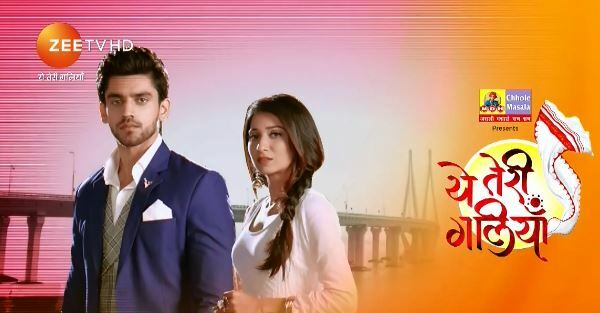 The post Yeh Teri Galiyan 14th March 2019 Written Episode Update: Ridoy tries to find asmita appeared first on Telly Updates.